Last Friday (25th May) I took my second trip of the week to London (having been at the Symplectic User Conference on Monday). This time it was the gentle stroll from St Pancras to the British Library Conference Centre to participate in the first JISC/BL DataCite workshop. Billed as an introduction to data citation and DataCite, this seemed an ideal follow up to the Research Data Management Forum event in Southampton back in March. As the role of the LRA Manager migrates to look increasingly at how we will manage, share and curate research data outputs as well as publications it was the sort of thing that I felt I really needed. Following the house keeping and welcome from the BL’s Lee-Ann Coleman and JISC’s Simon Hodson (owner of the finest waxed moustache I’ve seen in many a moon), Lee-Ann kicked off with an overview of Data Citation; what it is and why is it important. The fact that there is an expectation from the RCUK that research data will be shared, to assist in validation of research conducted by their funded investigators, is perhaps the most major driver. At the same HEIs want oversight on their research outputs, and as such the curation of their organisations data resource is important to them for building on earlier work and enabling collaborative research to organically evolve. Given that many academics in adjoining offices are often unaware of what colleagues are producing, increasing this transparency and accessibility to a rich, queriable and reusable research resource is believed to be of value in not only progressing collaboration but enabling genuine novel research from preexisting work. Lee-Ann cited some examples included the importance of data sharing in speeding up the sequencing and generation of a vaccine for the African strain of Avian flu. Her other examples were also in the STEM field which slightly concerned me, given that two-thirds of research here at Leicester is in disciplines outside this domain; whom in my experience often need a greater assistance in capturing and sharing technological resource. Lee-Ann stressed that one question that needed to be addressed by HEIs was what is critical/worthy data to curate? A microbiologist might see all the raw data output from an instrument as worthy of this, and yet for many other people it would be the processed data given context and analysis that would be of value. Next up was Elizabeth Newbold (British Library) who gave an overview of what is DataCite. Founded in 2009 it is a registration agency, effectively an allocating agent for DOIs (which I had never realised are based on the Handle system that I use daily in the LRA). However, it was made very plain that DataCite does not work directly with researchers, they are expected to deposit their data (in whatever way possible) to an appririate data centre, and then come to DataCite to “mint” a DOI. Minting of DOIs was new phrase for me, but clearly one that I can see slipping into my regular conversations about this subject here at Leicester. It was noted that the UK Data Archive had a strong definition of what was data (termed data collections) as groups of all outputs from a single project source. Commented that other data centres across the country were working along similar lines and methodologies. After an excellent lunch (BL London catering never fails to delight) Ed Zukowski (British Library) gave a very useful, if in part quite detailed and technical, overview of both DataCite and DOIs. Handles being the technology that underpins them, where DOI is actually a trademarked derivative. DOIs importantly point to landing pages not to the objects themselves (akin to our implementation of Handles on the LRA), and in practice using the DataCite front-end take around a minute to mint. He went on to detail how DataCite resolves contents from DOIs minted via them, but I think I’ll wait and link to the slides once available rather than try and make sense of my slightly confused notes. I was content to see that the service worked, rather than worry about the technicality. Following this Elizabeth Newbold returned to talk briefly about working with DataCite and the data client responsibilities. In terms of their metadata schemea there were only 4 required elements needed to make it work. However, locally people may well augment this with many more fields as they felt appropriate for discovery and description. I confess one nagging worry I have is whom will create this metadata? Is it a task we will anticipate a PI will perform at the conclusion of a project? Personally I have concerns over the quality, accuracy, uniformity and standardisation of such input; going on my experience of manually created records submitted to the LRA via IRIS. From the academics’ perspective I can see the challenge being that this will be seen as yet another piece of administration trivia that they are expected to deal with, and achieving the cultural change to embeded this into their standard workflows will be challenging with some serious and time-consuming carrot-whipping. Given the struggle to work deposit of publications into our open access repository into their routine over the past four years, it is a serious challenge and the scale of this should not be underestimated! Elizabeth noted that metadata created must be shared under a Creative Commons Zero licence, noting that for example the British Library OPAC makes data available for sharing and reuse in this way. There were some concerns from those present in the room that this might cause problems in cases where institutions, funders or even publishers made claim over such data. Another speaker also highlighted the problem of having data (with a minted DOI) then having a third party mint a different DOI to it which could interfere with metrics of access as well as uniformity of reference. There didn’t appear to be a clear consensus or answer to these concerns, and the discussions broke up over tea. The final session of the day was a workshop format where we were broken into small groups, and then smaller groups, an then finally into pairs (!) to discuss and document what we perceived as the challenges around managing research data. I think it was a shame we were so subdivided, since while I had a valuable chat with my counterpart I would have relished a broader chat with a slightly larger group. Given that there was a wide disparity between the role of delegates (from publishers to project manages to editors to directors of service through to repository managers) I feel we lost some of the benefit that we could have achieved through putting more of these diverse heads together. I also sensed a slight bias in the broader discussion when each pair’s issues were categorised and resolutions discussed – it did feel like the expectation was that the answer to “How do we solve this problem?” was intimated to be “DataCite”. It wasn’t in our room, although in at least one of the other two larger groups DataCite seemed ready to answer more of their challenges. My slight concerns over the value of the final session aside, this was an eye-opening and valuable day. It has for me perhaps opened up more questions than answers, although some of those were provided as well. Importantly what I think it offered was a chance to gauge where other people are on the research data management question and more importantly it gave shape to the bigger operational and strategic questions that we need to be asking ourselves within our organisations. As such the day was most certainly worthwhile, and my thanks to all the speakers, organisers and delegates for a thought-provoking day. Garfield, E. “When to Cite ,” Library Quarterly, 66 (4) p.449-458, 1996. A twitter archive of discussions around the day is also available. Day two opened with lightly less overcast skies, and Jackie Wickham giving an overview of the work of the RSP; past and future. This was followed by Max Wilkinson from the British Library talking about their Datasets Programme; which I was especially looking forward to hearing. It was interesting to hear about an area, which by accord, most of the room wasn’t doing a great deal about practically. That data sets are of a volume magnitudes greater than the publications that most repositories deal with is no surprise, and that most repository softwares are not especially great ay handling them wasn’t either. I was hearted to hear that the BL are working in this area, and appear to be thinking about it at a national level. I must confess that personally I’d expect that a national solution for data sets repository is more likely to be effective than a local one; but thinking that and seeing it happen are two very different things. Then Prof Keith Jeffery from euroCRIS/STFC gave a talk which…well it was very information rich. I described the talk afterwards as akin to the “last 30 minutes of 2001, only without a monolith”. Keith was nominally talking about euroCRIS but this was almost submerged in the presentation that whipped past with terms half known and unknown. There was certainly a worth in hearing someone as plugged in at the national level to STEM work as Keith; it was unfortunate that his talk wasn’t really pitched at a sufficiently practical level for those in the room. I shall however, look forward to re-reading his slides (assuming the RSP shares them) at my leisure, over perhaps a day. Next up was Mark Cox from King’s College talking about the Readiness4REF project. Leicester has been slightly involved in this project, with respect to CERIF so some of what Mark ta;lked about was familiar to me. I came out of this talk taking away the message that making sure your repository is CERIF compliant will make it faster, more effective and ready to interact with the wider community; which can only be a good thing. And then he was followed by Theo Andrew from EDINA who presented what I can only describe as THE talk of the conference for me. Theo outlined a world where a lot of work is repeated at different institutions, where three co-authors at different unis are each asked to make a deposit of a copy of their paper, with varying levels of success and engagement. The Repository Junction project proposes to streamline this, so that when one academic deposits, the software seeks out the repositories of the other authors and punts the paper into their verification and deposit workflows. William Nixon (Glasgow) refered to it as a killer app and to be frank I think if it works he won’t be proved wrong. Theo’s only working with a limited number of institutions but the plans are to expand out to a larger group; and I like many in the room I can imagine would be only be too happy to be involved! I’ll be following the project blog with interest. After a delicious lunch (which made me glad I skipped breakfast) Balviar Notay from JISC spoke about the Take Up and Embedding Programme projects, which was I admit a bit of a blur of acronyms. All the same some interesting work is going to be carried out under this banner. She was followed by a workshop session fronted by Jackie Wickham and four willing helpers, which ran into the early evening. Four facilitators (Miggie Pickton, Nicky Cashman, Jill Golightly and Rachel Proudfoot) moved around four groups and spent 30 minutes discussing issues related to their own projects, locals and experiences. The small group format allowed for a more intimate level of discussion than might have been enjoyed in the whole group. I must confess that the first couple of these sessions did little for me (other than further developing my sense that Glasgow has done so much that many of us will struggle to ever achieve their level of success!). However, the sessions with Nicky and Rachel were much more suited to my personal interests and certainly clarified one or two ideas I’ve been having of late about the LRA and our future direction. The day’s sessions was followed by the conference dinner, and repository related discussions and exchanges which lasted long into the night (I lasted ’til around 11.30 but then had to call it a night). An intensive, packed day with a lot for me to reflect on and revisit now I’m back at Leicester. On the 26th November I travelled down to London to attend, and participate, in the Forum for Interlending’s (FIL) biannual British Library event. The day started with Graham Titley, current FIL Chair, providing the introduction welcome and overview of the day. One of the things that struck me was the costs to FIL of organising the event at the BL and the newsletter. One thing that was clear is that FIL needs engagement for and with its members, something that resonates with my recent engagement with CILIP. First on the programme was Richard Scobie from the BL sound and music collections, who gave an overview of one of the many collections and services within the BL that a lot of people might not have used. As we don’t have a music dept of Leicester this wasn’t of immediate practical use. However, one could easily foresee some of our depts (e.g. Media and Communications) having some call on these materials. I think I was most interested as to practicalities of how one of our readers might get hold of one of these recordings – the formats etc. Richard talked us through their acquisitions policy, everything from legal deposit through to collecting representative samples from around the world such as sending representatives to record events like WOMAD themselves. A lot of access to materials is through the reading rooms (aka listening rooms), although print and manuscript music can only be read in the Rare Books and Music rooms. SoundServer exists to provide access to digitised materials. Access to archival sound recordings is via a subscription, which is free to HE and FE libraries (unsure about public libraries mind you). I was quite interested to hear about Petrucci music library which appears wiki for music scores, although for the largest part within copyright. I was a bit frustrated as Richard didn’t show us any of these services or various links he alluded to during the session; which given music support isn’t especially in my remit I’m unlikely to follow up after the fact. Following this session the group broke in half, one set to tour the BL and the other to take part in a discussion workshop looking at the challenges facing inter-lending, how to overcome them and to generally share experiences with the delegates. This seemed to go down well (so well that we re-ran the workshop in the afternoon with the other half of the delegates). After lunch Elizabeth Newbold from the Science, Technology & Med Collections at BL talked about her part of the BL. Like Richard, her overview was ripe with detail but thin on demonstration and I confess that I found it a little hard to pick out particular value from her session. 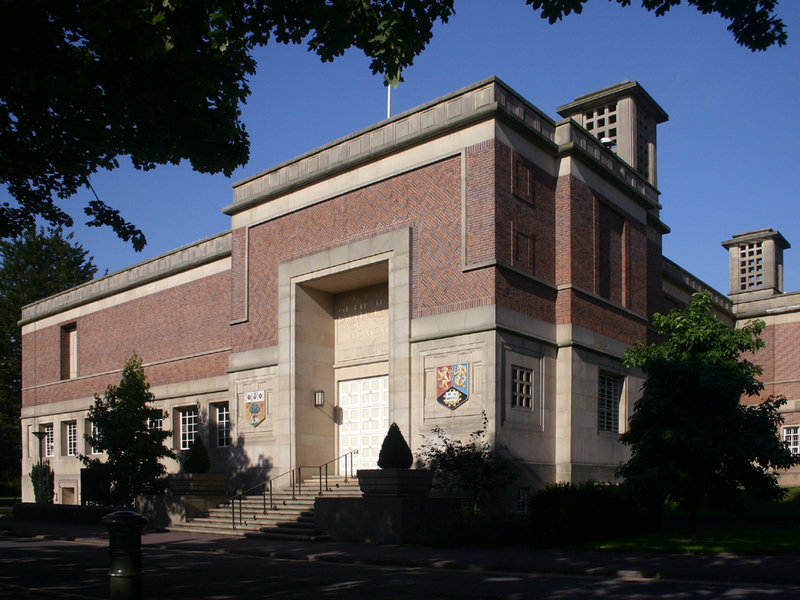 One point she made raised my eyebrows – she commented that generally universities are more clued up in the delivery of digital content and materials than the BL; and that the BL aspires to offer the levels of service that we HE/FE librarians do as a matter of course. I was deeply complimented, if not a little concerned that our national library should feel it wasn’t leading the way on these things. 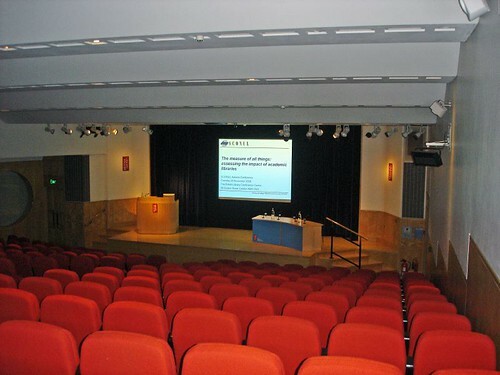 One other thing I did take away from the day was the sheer cost of holding an event at the British Library, close to £8,000 for the day, which meant that even with close to fifty delegates that FIL made a loss on the day. I suspect future events may need to relocate to another cheaper location in London, and include visits to the BL as an add on to the programme. A shame as the BL venue is nice, but sadly the return on the group’s investment doesn’t really seem enough. Due to my organisational hat wearing role for the day, I wasn’t able to tour the BL, but I’m pleased to hear from Lyn (my accompanying team member) that it was well worth the trip! Hopefully FIL will be able to arrange something along the same lines as this next year (there’s already a March 2011 event going up to Yorkshire), although perhaps at a less costly venue! Now if you’ll excuse me I’ve outputs from the workshop to type up and try and turn into a useful resource for those folks who couldn’t make it to the meeting! 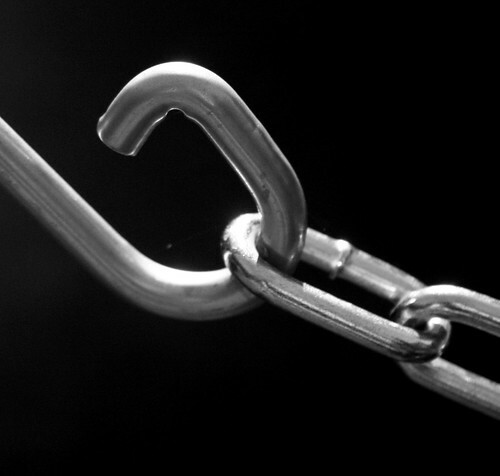 Is copyright a help or a hindrance to UK research? Well I know one answer to that in recent months from Peter Murry-Rust, but today I’m reading a new report out from the British Library entitled “Driving UK Research: Is copyright a help or a hinderance“. Interesting even before you open the 20 page report you’ll spot a disclaimer on the cover – that opinions inside are not necessarily those of the BL, which is rather odd given their corporate logo is slap bang on the top left. What the report does aim to bring are the view points of various researchers across the scholarly UK community. The authors of the essays are listed within, and I must confess having never heard of any of them; which is perhaps less of a surprise given they have spoken to academics across the sector; rather than those working in the realms of copyright. There is a superb pull quote from Lynne Brindley (CEO British Library) right at the start. There is a supreme irony that just as technology is allowing greater access to books and other creative works than ever before for education and research, new restrictions threaten to lock away digital content in a way we would never countenance for printed material. The essays are in essence case studies into the frustrations and triumphs, the needs and the opportunities, the barriers and the workarounds used today by academic researchers. An interesting contrast given in some is that of the fair dealing defence as it pertains more liberally to US academic institutions in contrast to our own, which is a surprise. Given what I had seen of US (c) related law, I suspected that our North American cousins were more restrictive than the UK; yet on the whole they seem to be more permissive. I was interested to note the experiences of some academics seeking to clear materials for inclusion in scholarly monographs, being frustrated by tracking down rights holders. This is a conversation I’ve had more than once with researchers here at Leicester, not to mention within the course of my team’s copyright work as well. From the other perspective one good example of the restrictions of copyright on research is given in relation to music research and the consideration that European Commission is seeking to lengthen rather than relax the copyright restrictions on sound recordings from 50 years to 95. While arguably academics could find workarounds under fair use, the concern is that the greater body of the public will be locked away from historical recordings as effectively as they are from recent commercial releases. Another study highlights the risks in creating a simple series PowerPoint slides incorporating images, films or sound recordings etc. That each academic needs to be at least conversant with the basics of copyright is a given, but it seems today that there is a requirement for their expertise to go much further. While here in the library we can offer support and advice (and some of my most challenging and fulfilling conversations with academics in the last year have been in this realm) there are only so many hours in the day. Throughout the report there is a sense of frustration in the restrictions blocking the research of the individuals in some ways – and in many respects the commercialisation of the rights for deceased authors falling into the hands of commercial entities seems to be a particular challenge to some researchers. Again having experienced the length of time and often considerable sums expected to license the rights of scholarly object for scholarly purposes (like BlackBoard) I found myself nodding in agreement. The role that advances in technology have is mentioned in more than one places. I’ve oft-repeated the saying I heard years ago w.r.t. “Leaps in technology, lumbering legislation”, and it seems the more routes and ways that are available to access information for researchers, and the more (c) restricts them, the greater their frustration and the likelihood that they will simply ignore it and use it anyway. While personally I’ve strong sympathies, with my work hat on this is something that is going to cause difficulties in the future for the sector as a whole. Just takes one litigious publisher to decide enough is enough, and suddenly we’re in the middle of a shooting war. Legally that is. Calls for an extension to fair dealing provisions under UK copyright law to bring them into line with fair use doctrine in the US. Allowing the use of orphan works. 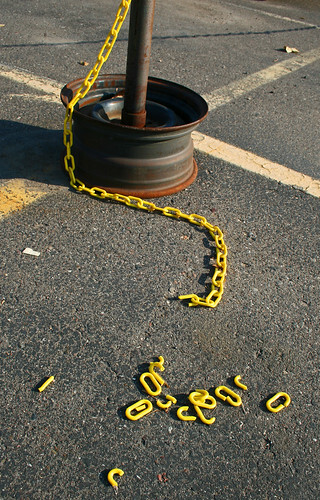 of the barriers posed by the existing copyright regime. Are the findings eye-opening? Yes to a degree, but from conversations and experiences in recent years I can’t say that I’m surprised. One only has to look to the open access movement to see what happens when academics rebel on mass over restrictive rights issues. This report is therefore a must read by anyone working in copyright in the HE or FE sector today, especially in the support services! Spotted this morning by one of my eagle-eyed team (thanks Valérie) that the British Library EThOS e-thesis service has changed it’s interface. For the most part this is the introduction of a few nicer looking buttons to replace text links. However, the biggest change is the revision to how searching results now look. Where a thesis is available for immediate download a little PDF symbol appears, although confusingly this is not a hot link. 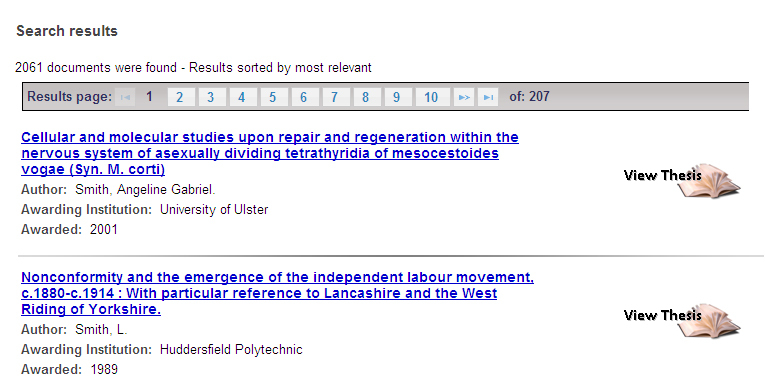 You need to click on the hyperlinked title to access the individual thesis record. However, on this next screen (shown below) you will not be able to download or even see the options for downloading unless you are logged into your personal EThOS account. Once logged in you will now see a somewhat alarming Choose Pricing/Delivery link click on this and you will be given the options. I feel this is a little misleading given that many of the thesis (including my example above) are available for download at no cost. At this point you can proceed through the familiar add to basket, confirmation, create order and finally download. While this does improve the look and feel of the site I think it falls down on three points – the lack of announcement from Ethos that this was happening, the lack of updated user guides and the alarming Pricing/Delivery option that will put a lot of people off downloading theses for fear they will be charged. While there are a number (around 30) universities who do charge the first user for new digitization of theses, the vast majority of us in the EThOS scheme (Leicester included) don’t, and so this is rather a false impression. How the rest of the thesis user community reacts to this will be very interesting. With my document Supply hat on I was interested to read Peter Murray Rust’s post the other day on DRM (Digital Rights Management) and the British Library; and I’ll admit I found myself nodding in agreement with some of his comments. That said while the system previously adopted using the Adobe Digital Edition platform has had a few niggles over the years, on the whole for our users it has worked ok. I am pleased to say that the BL is moving away from this to the FileOpen platform which by all accounts is much more trouble free; and we’ll be hopefully moving to this in coming months (once I’ve tested it thoroughly and prepared the appropriate publicity and training). On the other hand reading the latter half of Peter’s post, I would disagree with quite a few of his comments aimed at librarians. Academic libraries have to be cautious with copyright as publishers are notoriously litigious over their IPR being redistributed, and organisations like the CLA keep an oversight that we don’t step out of line. But why are the publishers able to swing such a mighty hammer over article copyright? Only because many, many academics continue to perpetuate the gifting approach to publishing – giving away their rights in an article to publishers for publication. Once these rights are given away, legally we librarians have to abide by the rules or risk penalties. How can the situation be changed? Only by academics themselves taking closer account of their publication habits, since they’re the one’s the publisher’s truly listen to. It’s the same old open access message – think before you ascribe all rights to a publisher, consider using the SPARC addendum to retain rights to deposit in your open access repository, learn what your funder requires of you, and lobby publishers with whom you have a relation to develop or maintain fairer policies to the distribution of scholarly research funded out of the public purse. The ball is, very much, in the academics’ court. 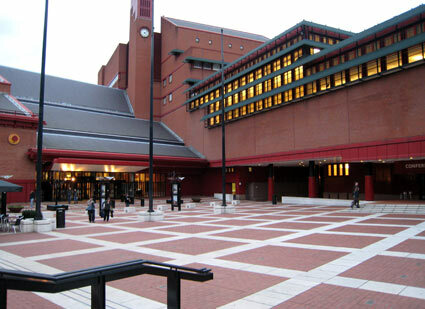 On the 20th April I travelled over to one of the stops on the British Library roadshow circuit. I was interested to hear about a number of developments, as well as catching up with a number of old friends and colleagues in the document supply field. The theme of the day was looking at ideas that they can help with in times of fiscal crisis. He noted that the BL needs to generate revenue to support its wider goals, and this is what Document Supply services is about. He noted the biggest change is the major overall planned in their document supply services in the coming three years. Background is more people are now in tertiary education than ever (estimated 140M+ globally as of 2006), and likewise more research than ever is being produced. Developing markets (India and China) exploding in terms of production. Creates an increased demand at the faculty level for the average number of articles read a year by academics 1977 (150 articles) by 2006 (271 articles). As a result the number of titles that are being subscribed to by unis has increased – more or less doubled in 10 years. However, hard times are ahead- current expenditure of £10M a year spent by BL on acquisitions cannot continue. Discussed academic libraries’ coping strategies (from a study conducted by Newcastle University) – plans how each will cope with the cuts. The largest portion by far said that 33% would respond by requesting more funding from their central bodies, but how realistic is this? Next on the list were cuts in book funds and serials funds. Staff cuts were above cutting Big Deals in 2009, but by 2010 these had risen dramatically in prominence. In US they protect acquisitions above staff. Notable that in the face of all this fiscal uncertainty that publishers remain bullish over increasing prices their prices; a deeply lamentable situation that a decade of open access has yet to impact upon. A graph showing the demand on BLDSC for documents from m1973-2010 showed peak in requests in the period 1999/2000 (over 4M requests a year). Now this has dwindled to lowest point over this 30+ year period (less than 1.5M a year). Price vs cost of copies the current charge for an article is £5.40, but the cost to BL to supply is £6.64, thus there is expected to be a rise in the charge to libraries in the future. A project at the BL called Document Supply Futures is looking at manual activities to retrieve items and photocopy or scan. Increasing acquired digital content over physical held to reduce the manual processes need to distribute. In the room only a few people (institutions) are already using Fileopen it seems (aside from Scotland). Barry noted that Adobe Digital Editions upgrades are built for Ebooks technologies not document supply, and this is major reason for the shift to Fileopen. Right now they are waiting for the tipping point to start planned withdrawal of ADE, but date as yet undecided. 36% of academic customers now on Fileopen, mostly in Scotland. Barry outlined the advantages of moving to Fileopen (I’m already convinced and we’ll be running tests on it at Leicester in the coming months, with a plan to move to it for academic year 2010/11). Most experiences in the room with FO were good, some initial Mac problems, but these seem to have been resolved by the BL team now. Barry noted that they are trying to move to a point where you wouldn’t even need a plug in to open Fileopen, but for now one is needed. HE subscription model discussed – two year tie in – with the savings really beginning from August 2010 as transactional charges are frozen. In a rather brief talk Pavan gave an overview of this HEFCE funded partnership. With £9M over 5 years this aims to protect research info and free up 100km of shelving allowing collaborative collection management, and free up space for libraries. This allows disposal of material that is held by other members of the partnership as it will be supplied for free between them and the BL. 29 members are currently signed up to this, and membership is now closed. Since the start about 15km of space generated and 3% of the materials withdrawn have been deposited to the BL. Within the membership supply is <24hrs and you can have branding on documents supplied, thus it appears as though the document comes from within your own institution. You can customise the coversheet with your local information. For me one of the highlights of the event was to hear about where EThOS had reached. Barry explained that there was going to be a JISC/BL review of service in the coming year and we would have a chance to be involved in this. Currently there are 7,600 theses downloads a month vs 400 items a month for the old microfilm service (interestingly this is comparable to a mid-sized IR). He acknowledged the issues over summer 2009 where demand far outstripped capacity to digitise. Throughput dropped from 30 day to 90 day turnaround per item and the BL employed three shifts to get over the backlog. In terms of the age of theses being digitised – three quarters (73%) are post 1995. 69% of ETHOS users are from the UK, which is perhaps not a surprise when you realise that the site is neither indexed by Google nor promoted overseas. The BL fear is that this would increase demand beyond their capacity to digitise, although EThOS is hardly a secret I would say within the global academic community. There was also the issue that more traffic to the site would mean more pressure on their servers. 109 universities are involved (Oxford and Cambridge still notable hold-outs) and as of 2009 (Jan) 94 of these were by the subscription model. By Jan 2010 this had dropped to 72 using this university pays model, with the remainder switching over to the first user pays model. Barry acknowledged that there are concerns from those universities on the subscription model effectively paying for the theses in other institutions to be digitised as well as funding their own subscriptions & digitisations. He argued that many are unhappy with this state of affairs digitising stock that is not of interest to their core (local) audience. Cost cuttings over the next four years in HE libraries means that participation in EThOS may well be seen as more of a luxury (although personally I suspect I would be hard-pressed to resource effective digitisation for the relatively small fee we pay), Many unis are also stopping loaning theses on the back of their involvement in EThOS. BL is seeking a way of making EThOS a more representative archive, rather than a patchwork. They also want to find a new way to fund it, in many respects they can’t continue to expect Universities to bank roll digitisation the way they have done. “Monetising” ETHoS is a way forward possibly was considered – charge non UK-HEI users was suggested but rejected as they could just use IRs to access the same files. Another suggestion was to give more information on who is requesting a thesis to the universities (status and affiliation) so they can make a value judgement and consider if it is a priority to digitise a thesis in response to a request. Discussions about asking for digital copy from authors, and noted that Leicester and Nottingham were among the few to do this in the room. One thing that was a little shocking was how EThOS handles inappropriate levels of request (tens and hundreds) from single individuals. They do monitor this, somehow – they didn’t go into depth, but they do not actually have a fair use policy for the service. I find this somewhat surprising for a major national service of EThOS’ age. Barry cited a recent incident where a US woman requested 300 theses – their approach was to use Google Street view to look at her house, assess whether this looked academic and then ring her up. To me this hardly seems a robust or systematic approach, and it does seem that EThOS is now finally thinking about developing a proper fair use policy. One thing I did take away from this talk is that I still have my doubts about how effectively EThOS is being run, but at least now the BL do seem to be beginning to acknowledge the myriad of concerns that I’ve heard throughout the HE community past couple of years. A question from the floor was about the microfilm theses that for years the BL created – why were these now no longer loaned? 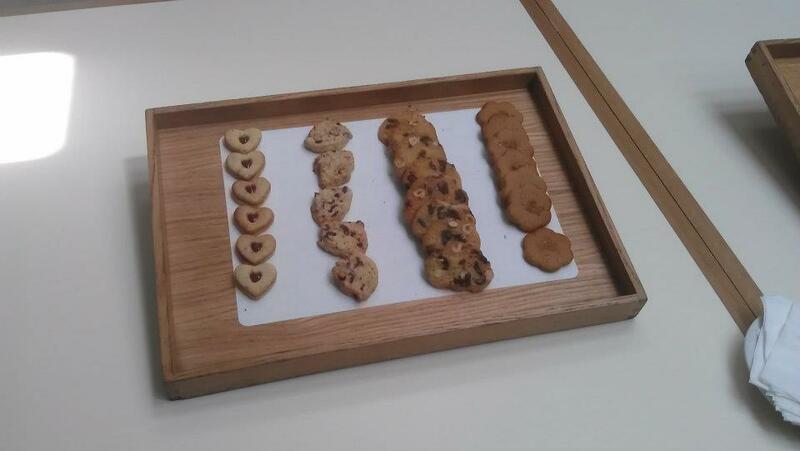 Barry confirmed that while these could be consulted in the BL reading rooms, that yes they were no longer loaned. The staff who ran the British Thesis Service had been redeployed to work on EThOS and so there wasn’t the capacity to send these. For now their non-loan status was set to continue. David showed off their resource navigator a tool which can help a library manage subscriptions as well as cost-per-articles statistics for e-subscriptions. It offers a federated search with customisable options and an integrated, knowledge base alerts the user where subs are available locally. Not clear why we would want to use this tool, no matter how customisable it was – when our local federated search (single search) tools are already set up. On Friday (6th November) I went down to the British Library (BL) conference centre to attend the Forum for Interlending’s (FIL) autumn event. With my recent switch to having a Document Supply feather in my cap, I was eager to further develop my knowledge of this field. I attended the FIL Conference back in 2006 and that was like dipping into a different and surprising world. This time wasn’t quite as bad given that I’ve been working in a world of new conventions for the past month. What was noticeable was a definite shift from the research focussed repository based community I’ve been involved in for years. At the BL there was a more cross sectoral audience (governmental, public, FE etc) rather than simply an HE focus. There was also a greater bibliophilic under-swell in some of the talks which felt somewhat alien, That said it was a very useful day (the morning more than the afternoon I will confess) and what follows are my attempt to turn my notes into something readable. Barry’s talk was the primary reason I was in attendance, as I was wanting to get a handle on changes the BL has in store. He commented that the BL has been doing things traditionally for many years and are hoping to move to new services – four of which he was highlighting today. This is a name I’ve heard and one which it seems over the coming months the whole DS&R team. And probably seizable segments of our user community will become familiar with. There have been issues experienced with Adobe Digital Editions in recent months, caused in part by changes from Adobe which also affected the service. The BL has decided that there is a need for a new route to deliver electronic copies of articles. Currently options are Adobe-DE, Arial, FileOpen, The choice they have made is FileOpen. This is the system used by a vast number of services around the world. What it seems to offer are improvements to DRM (digital rights management) for end-users who may have had problems with some Adobe DE in the past. Unencrypted supply for course packs are available (under CLA) and the ultimate goal is to remove DRM from material supplied entirely, but this is some time off. Part of the choice of Fileopen is that there is only a need to download the software once for all users and no forced upgrades. It also reads Adobe PDF formats ver 4-9. UEA are a pioneer (Michael Robbins) in using it. The BL advocate moving across from SED (Adobe Digital Editions) to SED (FileOpen) in 2010. For the end uer they will receive an email similar to that they currently get under Adobe-SED with a download link. It was suggested that potentially the BL may withdraw Adobe based SED by the end of 2010, not confirmed but seems likely from the talk. Lessons have been learned (one librarian I spoke to has ended up paying three times their fee this year due to demand from Ethos). Currently 109 participant universities (71 following our model, 34 user pays). The emerging trend is that more institutions are moving to user pays model, due to levels of demand. Participation of UK HEIs was quicker than expected and demand from users higher than expected (10,771 theses requests in 08, 79,353 in 09) . Also the economic crisis has impacted on UKHE and therefore ETHoS as well. Ability to digitise and supply out stretching ability. The 30 days turn around promised wasn’t possible (90 days more common). Now demand falling, and so able to fulfil this time promise. The plan was to move from beta to live in early 2010 (which was a surprise as I had assumed we were already – finally – in the live service). But first they want to get Oxbridge on board first, both of whom seem likely to join. Metadata records will be made available and harvestable by 3rd parties – and therefore make the theses more discoverable at the point of launch. The BL have found the Ethos model of interesrt in other countries around the world too. Transactional model where there’s an increase on charges per item (£5.40 copies/£9.90 loans). It is anticipated that there will be a 10% increase in transactional charges in 2010. 47 institutions have signed up to transactional route. With the rises in price in Aug 2010 it is however anticipated that 95% of people will go down the subscription route. Personally I don;t know where the BL get this 95% figure from, it seemed to be conjured from the air – I would be surprised if it turns out to be as cut and dried as they seemed to suggest. The use of BL is global, even by other DS lending libraries. 84% of requests are currently fulfilled and the aim is to bring this rate up to 100%. This will be achieved by partnerships with 3rd party vendors. A recent pilot scheme achieved a 96% rate. The plan is a live service to roll out in 2010 (March/April), delayed from Q3 2009. This will include any research related document that a customer wants, not just those held by the BL. For all requests BL and BLDSC can’t supply they will go to their extended list of suppliers (retrieval services). Some items will involve a copyright fee and so some documents will be more expensive to source. There will be standard charges where a collection exists, for those where retrieval services are needed the charge will be variable. There will likely be a need to declare how much a user or service is prepared to pay for a document to be found. Jerry Shillito & Peter Robinson Reading rooms or Doc Supply: Mixing and Matching BL services for the benefit of the customer. This talk began with a general overview of the more than 150M items (and more as this figure was some years old)that make up the BL’s collections. Of this over 8M consulted a year with an additional 1M a year acquired. It followed with an overview of the BL locations at St Pancras, Colindale and Boston Spa facilities and collections. It was noted that in the next two/three years Colindale will close and collections will merge into the other two sites. Then Jerry went through access to materials on site, information which is available on their website. Electronic requests are the easiest and fastest way to request material to be retrieved. Phone/email are taken but take longer to respond. Some rare items still require a paper ticket and a personal visit. The BL has 112K registered readers, with 500k individual visits. Almost 75% are academic researchers – which includes students of all levels. Those who use document supply are a similar cross section of the public. Zetoc is joint Mimas/JISC/BL and access to e-TOC 1993-date. BL Direct is 5 year slice of Zetoc. He noted an easy guide as to what they can’t supply – generally if an item has a DSC shelf mark then it can be supplied; but many things don’t. No-loanable items include legal deposit materials, pre-1900 (as loans), pre-1850 (as photocopies), CD-ROMs (even if attached to books due to legal concerns), market research reports ad electronic resources (e.g. databases). If they can’t supply, then a visit to the BL is a possibility to consult the item. Alternatively there are the imaging services. Giles gave an overview of the collections – 53k newspaper/magazine titles, collected via legal deposit. 2,500 titles taken as legal deposit each week. UK National papers are all held including from 1801 onwards Sunday editions held as well. It Also holds overseas, European and Slavonic language newspapers as well, some back to 1631. Commonwealth newspapers from around the globe also make up a portion of the collection. On the other hand Asian, African and mid-east titles are held by at St Pancras BL and not Colindale site. Noted comics (UK) are also collected, from at least the 60s. To find them on the BL catalogue, you need to use the Newspaper Catalogue Subset search as the main catalogue will currently not find them. However, the new beta version of the BL catalogue may improve matters. NEWSPLAN was a programme for archiving and saving via microfilm regional newspapers. A website exists that lists them, many of which are not held directly by the BL, but the locations are. Recently BL has been involved in some major newspaper digitisation projects. One is the 17/18th Century Burney Collection (1,200 titles or 1M pages) – freely accessible to academic libraries via JISC. Also 19th Century digitisation project for almost 50 titles (national and local) – again freely available to HE and FE via JISC [www.jisc-collections.ac.uk/19thblib]. Stewart noted that 15% of the collection cannot be used due to fragility of poor quality paper, and use by researchers further degrades the quality of those items they do keep (as a comic book collector I can well appreciate is!). Colindale is not ideal in terms of environmental maintenance and is over 70 years old and too expensive to renovate. The split of the newspapers between there and the main BL site also causes issues for readers. By 2012 St Pancras will be the hub for access (digital and microfilm), and the physical collections will go to Boston Spa. By 2017 the aim is to satisfy 80% requests electronically. If funding allows the BL would like to extend the subscription to significant title archives (e.g. Guardian, NY Times etc). For now they are working on getting current newspapers to be deposited in a suitable born-digital format, though this is only at a pilot stage. These sessions were followed by an excellent lunch, for which I must commend both the BL’s caterers and the FIL committee for their choice of venue! The Library was founded in 1841, pre-public libraries act, with a focus on lending in a corner of St James’ Square. Now the largest independent lending library in the world. A subscription organisation and as a charitable organisation relies on the income. Noted that a number of famous literary people have been associated with the library. Collections span C16 to present day, with a million books in the library. 97% are available for loan. The history of the library is a history of change – they do not wish to lose volumes and want them all to be shelved and openly accessible (which aside from 3% they are). Therefore there has been a need for physical expansion up, down and left and right. It also offers a full range of standard reader services such as enquiries, loans, book retrieval etc. In 2000 need for expansion, approached library members for guidance – overwhelmingly express the desire for stock to remain in one location. Thus the library needed to preserve the best of the past, but to use new technologies to meet needs of wider membership and ensure future curation of book stock. Work on building progressed in phases, but during this period they managed to maintain full services throughout. In a spin and buzzword heavy session Abigail spoke about how this is part of the London Cultural Improvement programme, partnered with the MLA. They have less public libraries in London per capita than elsewhere in the rest of the country; although 99% of Londoners live with 1 mile of a public library. As a result they have higher visitations than the average across the whole of the UK, although they have a slight dip in average satisfaction. She mentioned the forthcoming General Election and reduction in funding that they face. Libraries currently take 40% of cultural council budgets – and costs per capita 40% more than the rest of the UK public libraries. A major problem is with 33 different library authorities adopting different technologies inter-working is made harder. Platform for change means the aim is to improve staff, reduce overhead, improve services and bring all 33 services up to the same level. Which in plain English is cutting costs while trying to make everyone work harder to deliver a better service. Ben moved on to talk about the role of inter-lending,and RedQuadrant management consultancy for whom he works. Focus was on fiscal savings, and were commissioned by the London Library Change Programme Board. Estimated that £5m could be saved by implementing the review. The demand/supply diagram they used was a way to conceptualise how the system currently worked to library managers and councillors. Noted one solution adopted by a library service was to opt out of ILL and just buy the book from Amazon, as it would arrive much faster and more reliably. Again a lot of this talk wasn’t especially relevant to my interests, although as an overview of a wide scale review it did have its moments of interest. Sadly it was a confused and confusing presentation delivered at lighting speed with little of true relevance and context for those outside of London public libraries. What she was talking about is not a new catalogue just a new UI which will cover more material than the current engine. Rather than only searching 13M items it now searches over 90M items (including A/V materials) and the intention is to increase this still further. It takes a Google approach to simplifying searching, but also has social web functionalities allowing users to note and tag records themselves. These are in the public domain, although notes are moderated. . Single word title searches (e.g. Nature) are an improved functionality example. As an interface it looks closer to Amazon, and indeed may well be using the same technology at a guess, or is inspired by it at least. It looks very promising as a resource, and will doubtless be very useful for people once it launches. Also will offer requesting functionality for people who go direct to the BL rather than make use of a DS service. Demonstrated two readers for helping visually impaired readers (MyReader2), which looked rather clunky, but once running was more impressive. Could adapt colours size, read the text and even splice text together if separated by pictures. Being used as a study aid by others who don’t have visual problems, which is fine so long as those with genuine need given priority. Other kit (ScanR aka Daniel) reads the text aloud. Then finally attempted to show program called Supernova – which is magnifier of other computer applications, which sadly didn’t work. Also noted the BL has physical things for disabled readers as well such as adjustable desks. Peter then spoke about services for visually impaired distance customers and the requirements under law for them to satisfy them. As always reasonable adjustments are the key. Alternative formats in print – colour of paper or enlarged text – orders to customer-services-orders@bl.uk. Electronic copies can be sent as unencrypted PDF (e.g. can be read out loud by Adobe reader) – allows for conversion to plain text by user.